We received a wonderful “thank you” letter from a client couple who had got married on March 19th with our service. The groom is brought up in the USA since he was very little and the bride is American. They had a civil wedding and a reception at Saami ryoutei restaurant in traditional Japanese style which included San-San-Kudo (=drinking the nuptial cup). 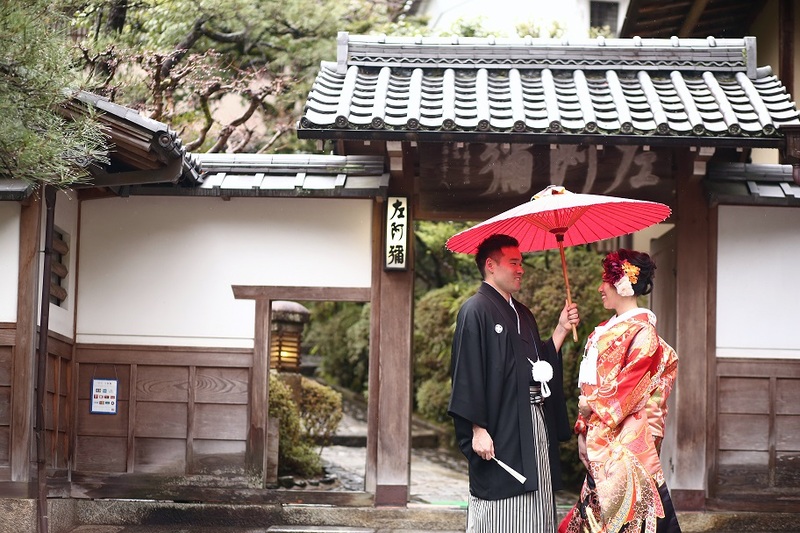 They wanted to grant their family members’ wish to have them performed their wedding ceremony in traditional Japanese style. 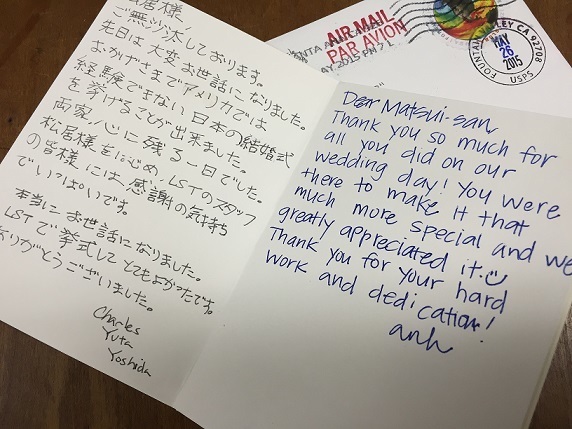 In the letter, the bride also wrote a message in English. We were so glad to know how they felt about the wedding. We wish their wedding reception in the USA will become also great one as well.